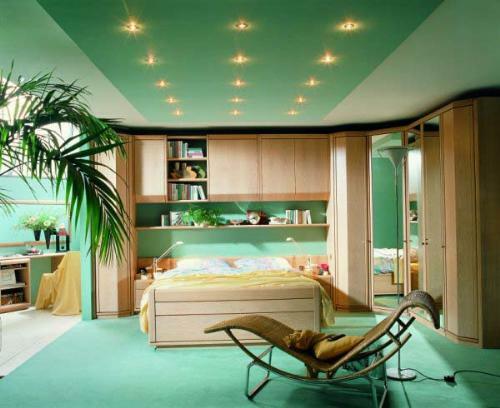 The bedroom ceiling design and color combination can not only cherish the mood but make an impression of a large space. 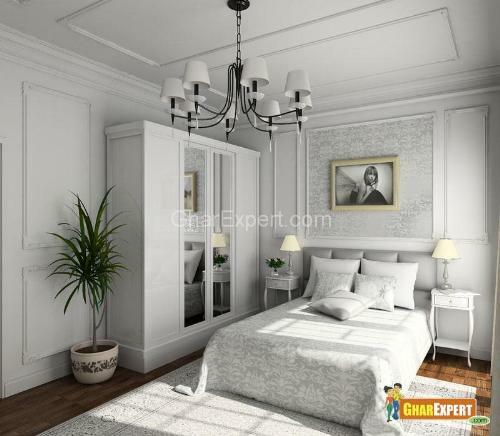 Paint ceiling in a soft color, a lighter version of wall color to create a pleasant appearance. As bedroom ceiling is watched more than the ceilings of other rooms, select color trends that your inner desire expresses. The shades of medium to dark browns are perfect for bedroom because these shades nurture and satisfy our spirits. Make use of beiges, browns and tans because they are earthier and reflect the colors of rock, stone and soil. A combination of greens and brown is a great for bedroom because of warmth and cozy feeling in your room. Pick right shades of green because some shades are not flattering to skin tone. Make a choice for superb ceiling light or even a crystal chandelier that will add a patterned effect to the ceiling.